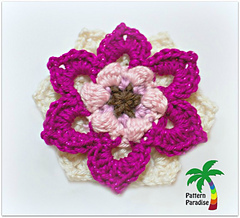 This pattern is available for FREE on my blog. The downloadable PDF listed here for sale contains the full pattern, in one printable file without advertisements. 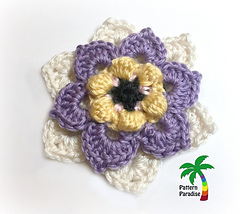 Make these fun flower appliques for hats, purses, pins, and more or join them together to make a colorful afghan or throw pillow! I made these in worsted weight yarn, but you can use any yarn you like, just choose a hook that is appropriate. 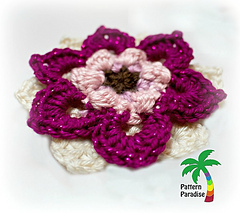 Of course the size will vary based on the hook and yarn combination used.